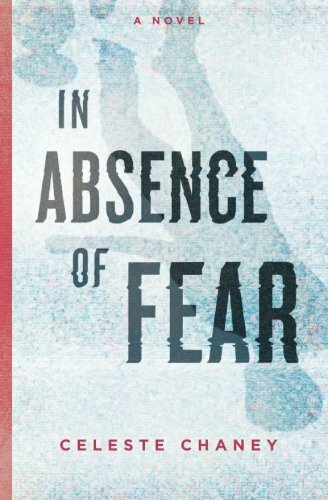 IN ABSENCE OF FEAR is the vividly imagined debut novel by Celeste Chaney that explores the roles technology and government play in our lives. Is technology our servant, or are we its slaves? Can a mass surveillance state truly remain a democratic one? A NEW ERA IS BORN/ Afraid to leave their homes or send their children off to school, citizens of The State vote to enact the Protector Program, a predictive policing system. iD chips are implanted in every citizen's wrist, providing convenience and protection to the people of The State. The chips are used to unlock homes, enter offices, start cars, transact in stores and restaurants, and monitor users' health. They also collect data. THE PROTECTORS/ Specially designed risk prediction algorithms, called Protectors, parse and analyze the data captured by iDs to predict individual levels of threat, aiding the predictive policing program and eradicating crime in most cities. Marus Winde has worked in the West Region for The State's Intelligence Annex since the inception of the New Era. As Senior Algorithm Architect, no one is more dedicated to the predictive policing program. No one has greater trust in its proficiencies. That is, until his young son vanishes inexplicably one morning in broad daylight at a soccer game in the safest city in the world. UNCERTAINTY IN AN AGE OF ABSOLUTISM/ When the Protector Program fails to protect his son, and the data doesn't provide any clues, Marus learns that the program is not only imperfect, but corruptible, and that even the greatest of technological advancements can't replicate human instinct. In search of the truth, Marus must betray the system, abandoning its protections and risking everything to save his family.